boyáo [by ?] 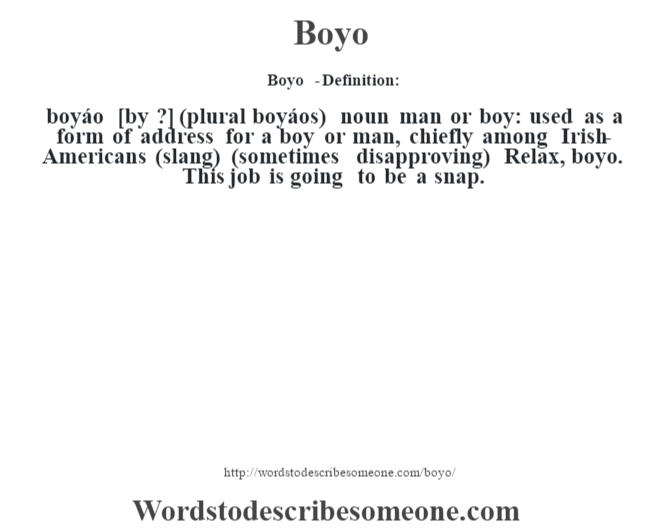 (plural boyáos) noun man or boy: used as a form of address for a boy or man, chiefly among Irish-Americans (slang) (sometimes disapproving) Relax, boyo. This job is going to be a snap.